You are here: Home>Herts history>People>Dame Elizabeth Fuller, Education Pioneer. Elizabeth Fuller (1644–1709) founded a Free School for boys and girls in Watford, Hertfordshire, England. 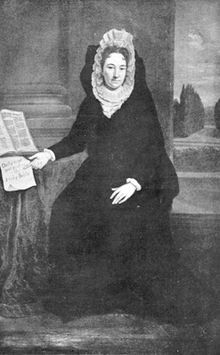 At the end of the 17th century there was already an existing Free School at Watford, which Mrs Elizabeth Fuller of Watford Place found too small. In 1704 she built a new Free School for forty boys and twenty girls on her land next to the churchyard, with rooms for the Master and Mistress, and in 1708 she endowed it with £52 a year. The Free School for boys and girls later developed into the separate Watford Grammar School for Boys and Watford Grammar School for Girls. Elizabeth Fuller is remembered every year in the present schools’ Founder’s Day services. This page was added on 01/12/2016.